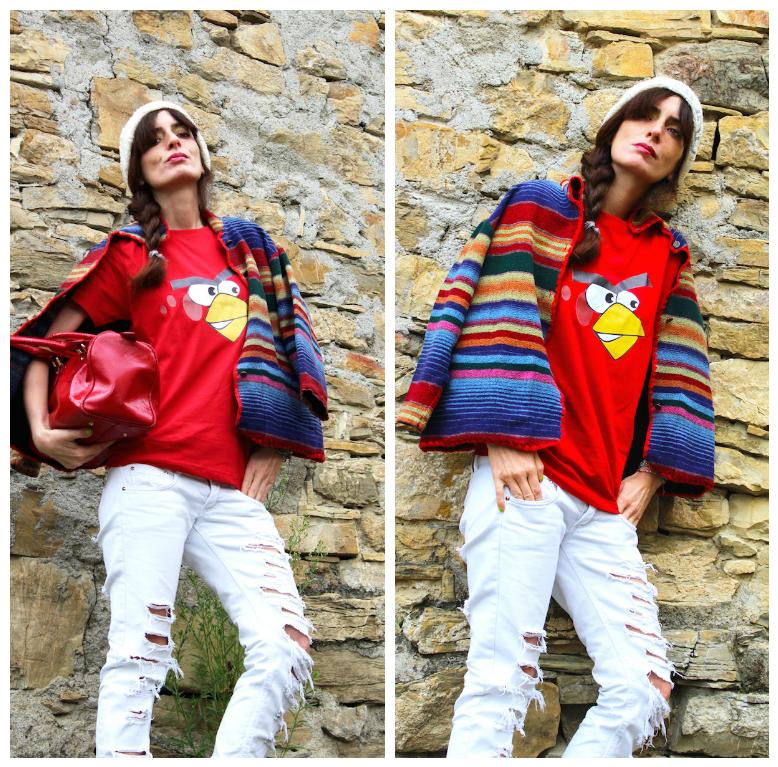 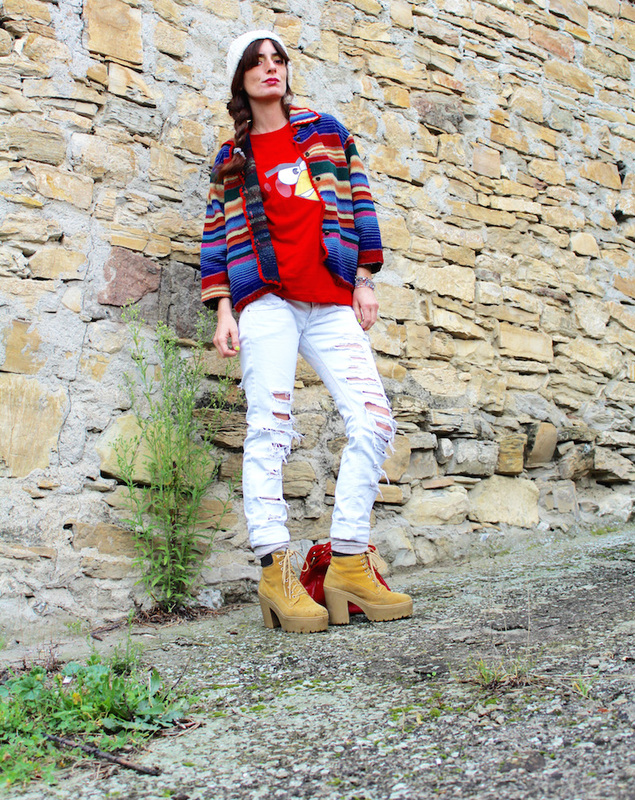 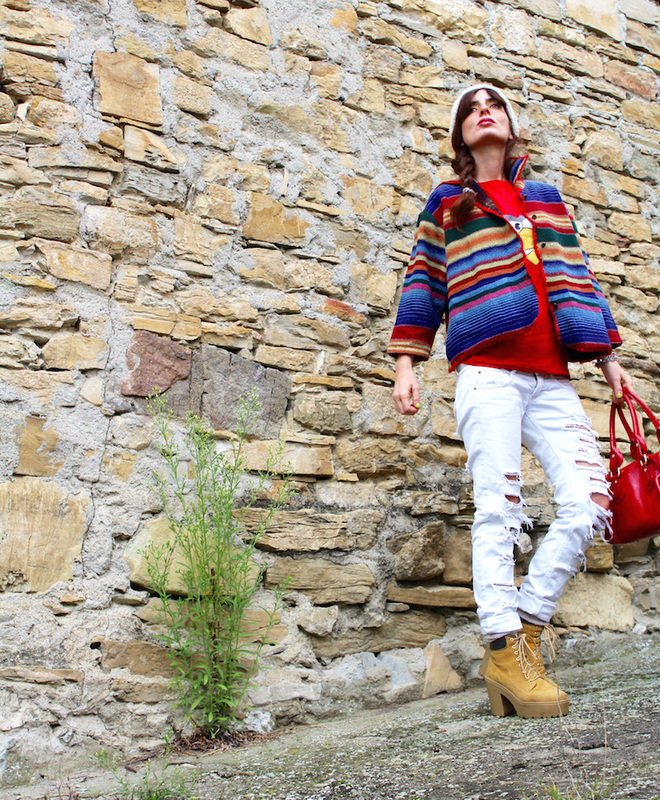 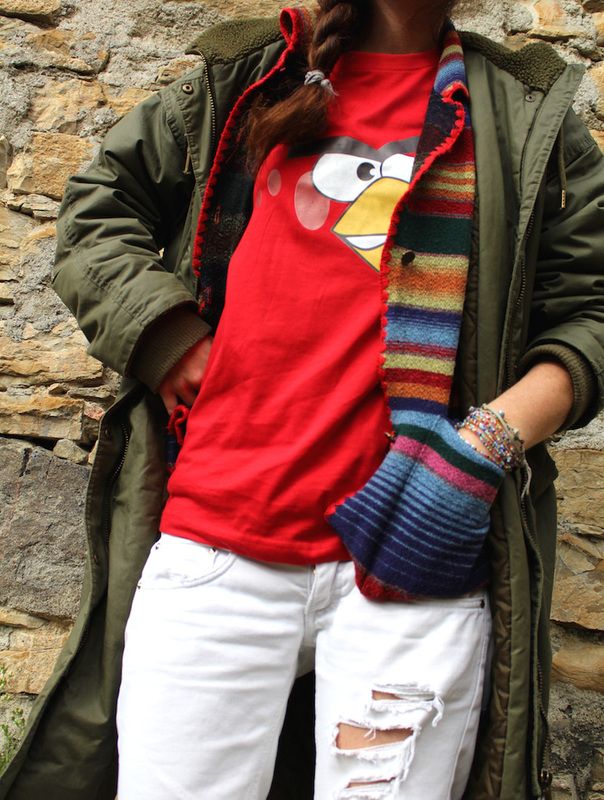 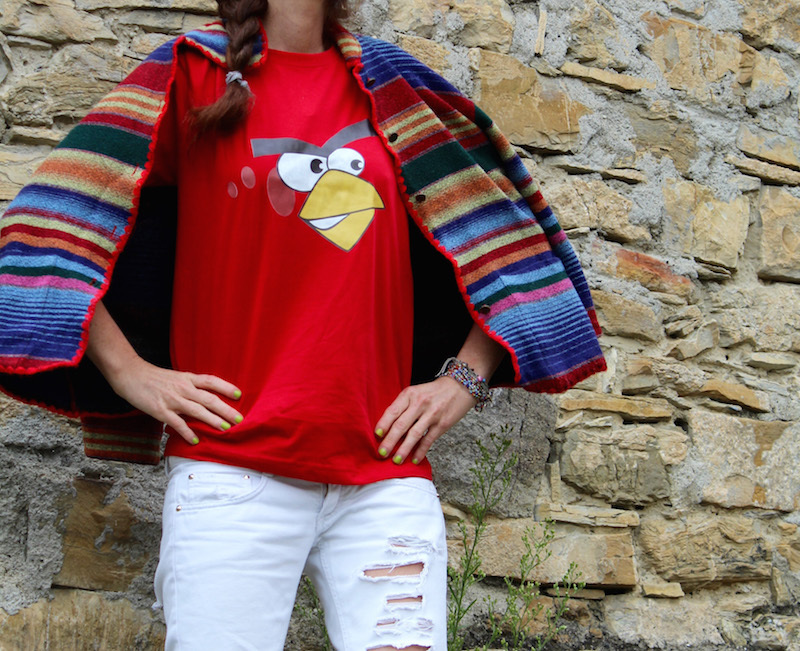 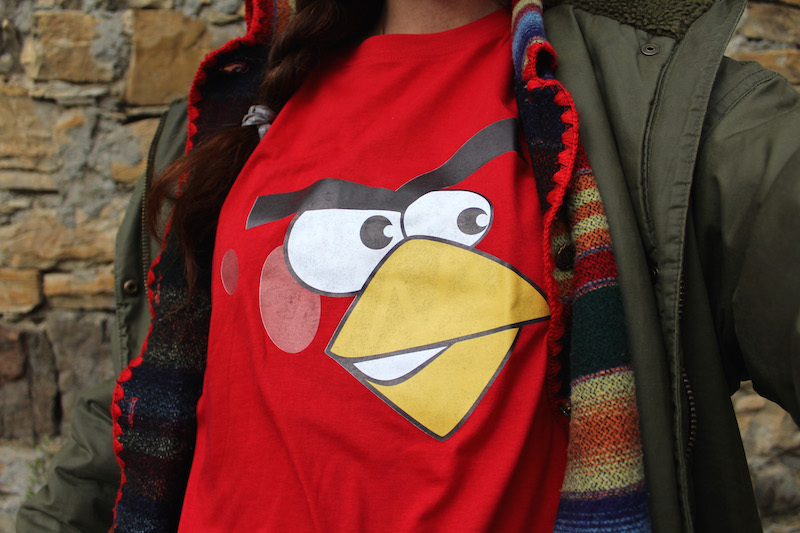 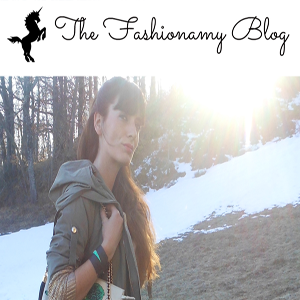 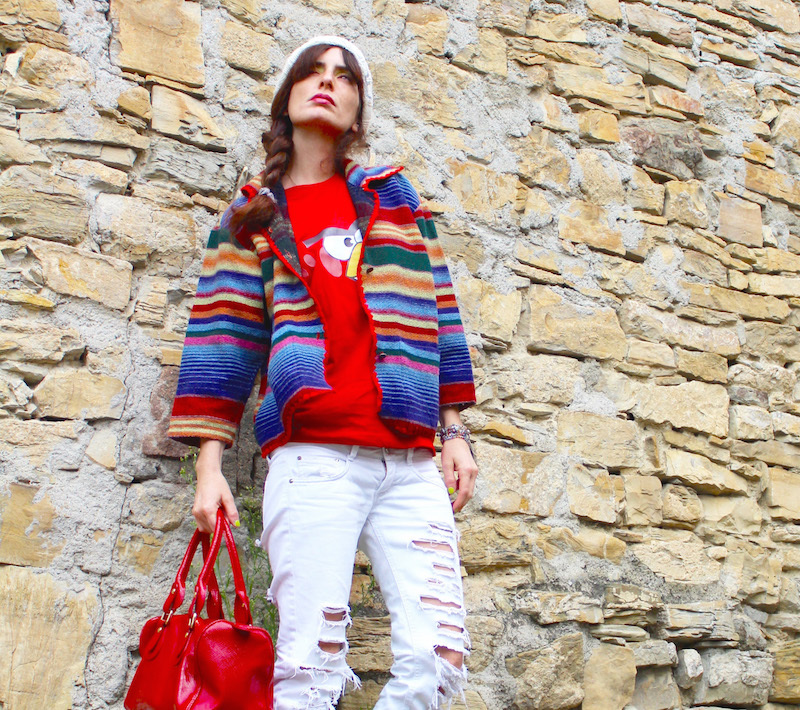 THE FASHIONAMY by Amanda Fashion blogger outfit, lifestyle, beauty, travel, events: #nerdoverdose #tee - Angry bird and etno mood! My interest for t-shirts never stops and some time ago i've started to looking for a red t-shirt to wear with classic blue jeans or white ripped jeans. 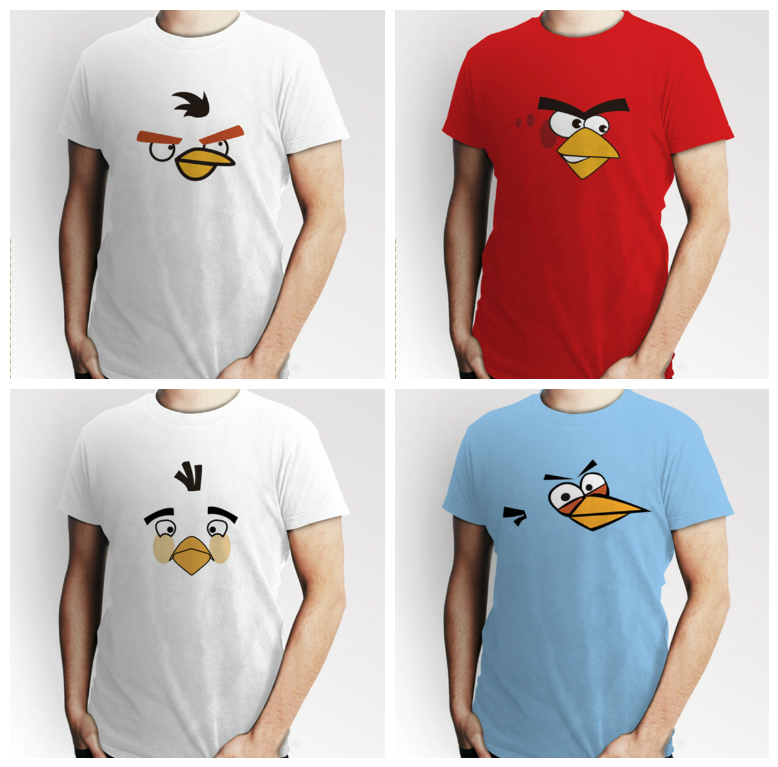 This one is called has a Angry Bird , the illustration is inspired to a game for Iphone and Ipad. 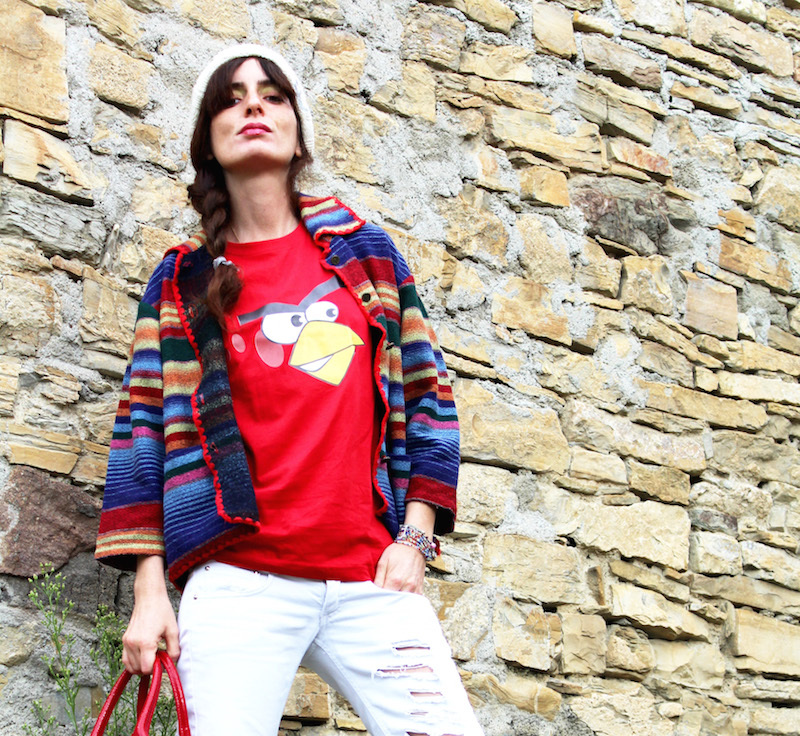 My red tee it's from the brand Nerdoverdose that show a wide range of styles for streetstyle nerds. 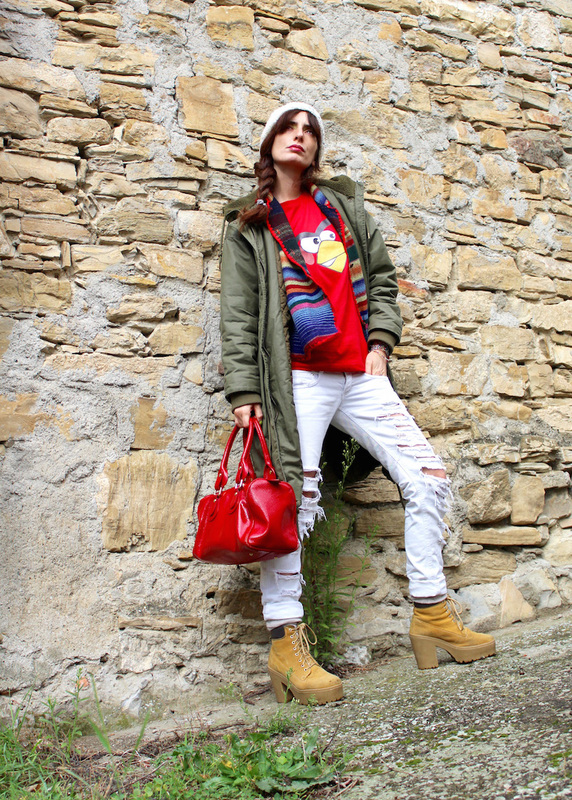 The t-shirts are unisex and follow one of the trend of this season that present also for girls classic boy thirts to wear inspiring to Nineties. 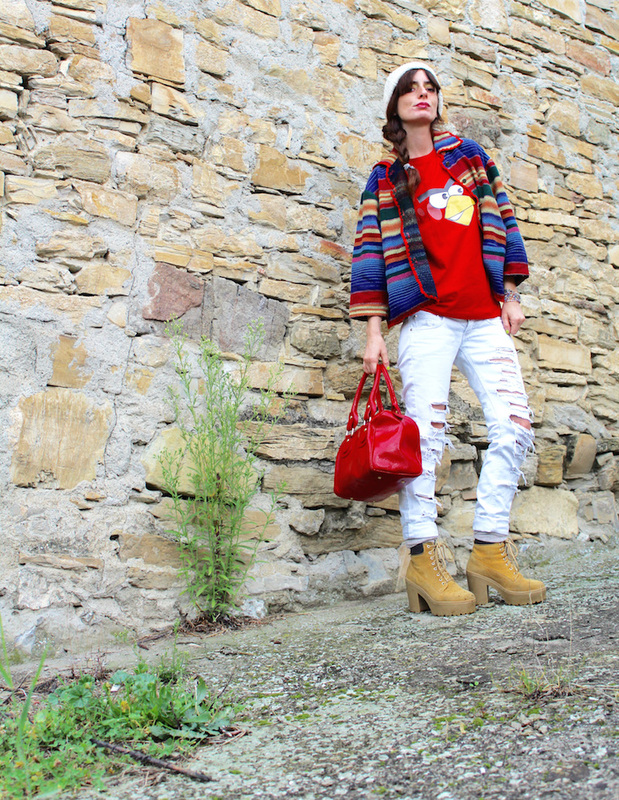 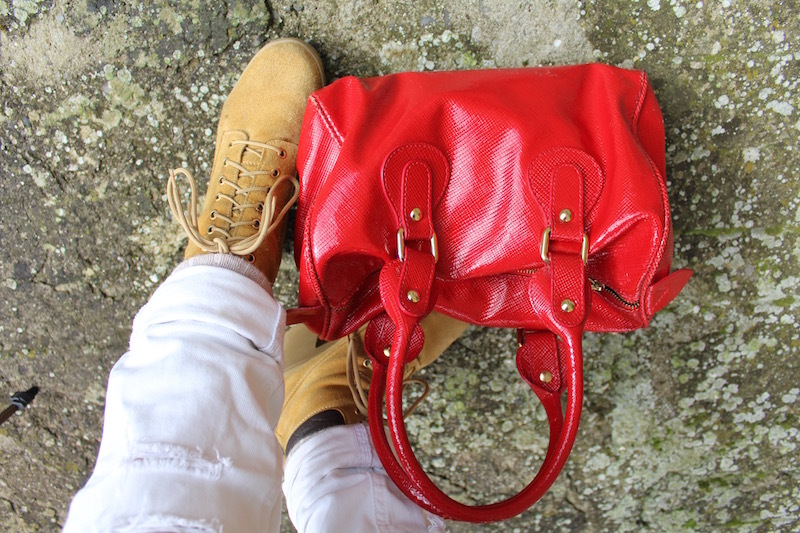 I've paired the tee with my white jeans and a vintage etno style jacket from Nara Camicie, laced shoes, a red bag, beanie and long parka. 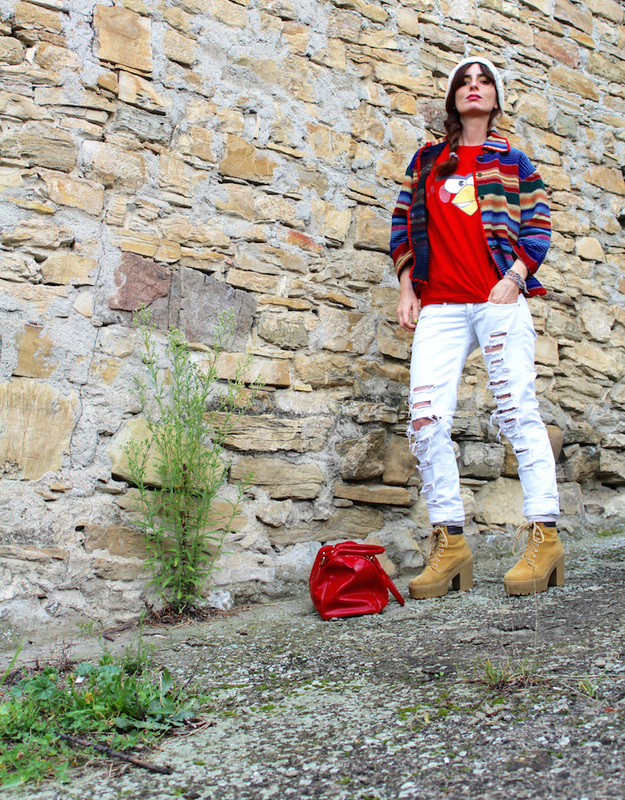 I like so much the bright color contrast among the tee and the jacket with the white of the jeans. 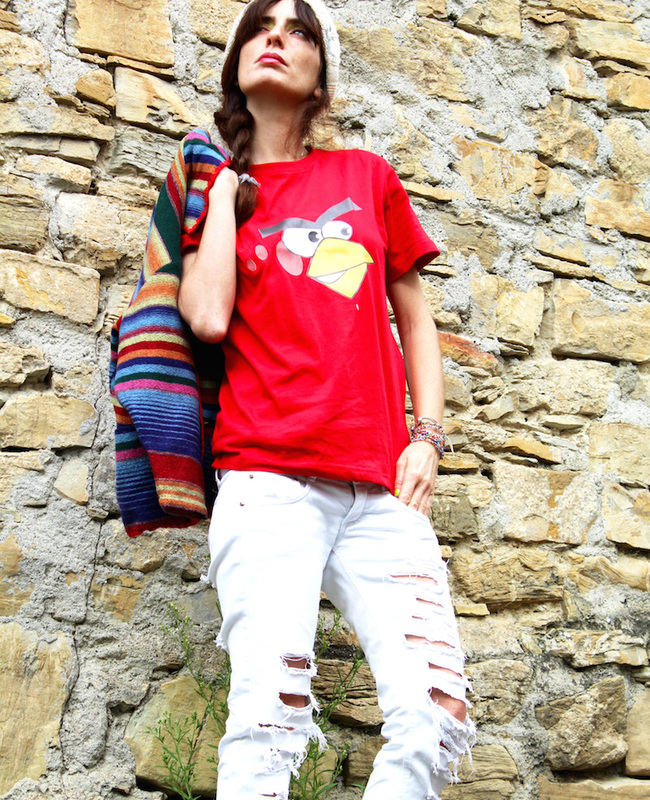 Very soon i'll show you the other outfit ideas created with the other Nerdoverdose T-shirt chosen, they are a nice idea for a gift for yourself or boyfriends, girlfriends, friends because you can find a lot of graphics and the price is very low : 13,90 €. 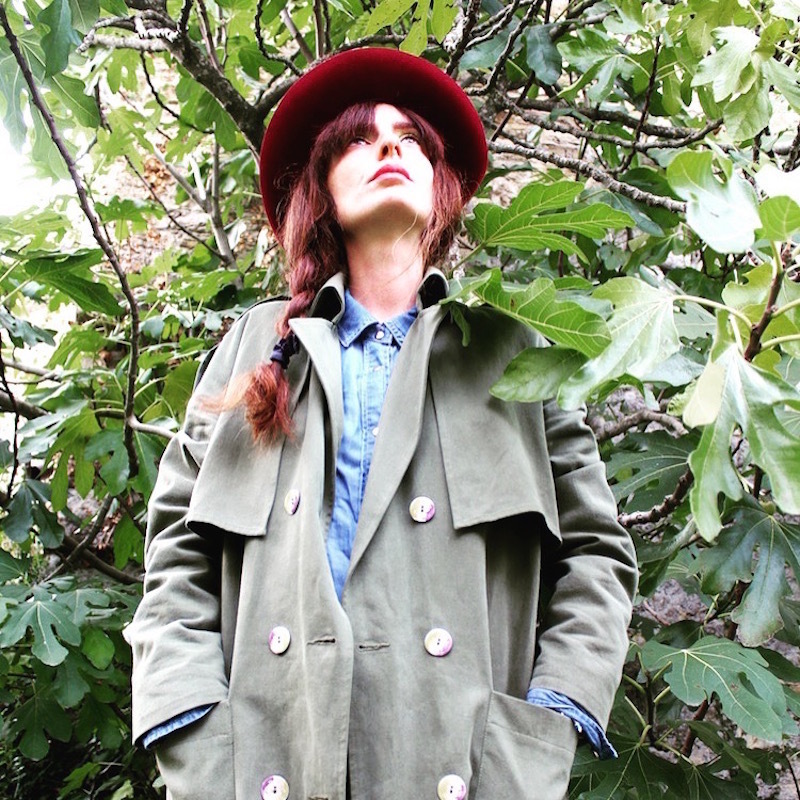 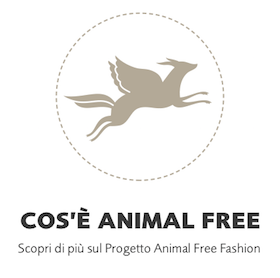 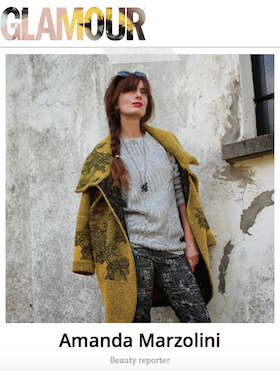 So whit not choosing a made in Italy low cost collection ?